Gluten - a protein found in wheat, semolina (rava) and its products. This condition, called gluten-sensitivity, requires one to eat foods without this particular protein. Many Indians cannot think of a meal without wheat and its by-products, but it is possible - and very tastily too! It is a must to adapt to such recipes, because those who are gluten-intolerant need to nevertheless consume balanced meals. This section will help you achieve just that, with its vast range of recipes, which span all age groups and preferences. 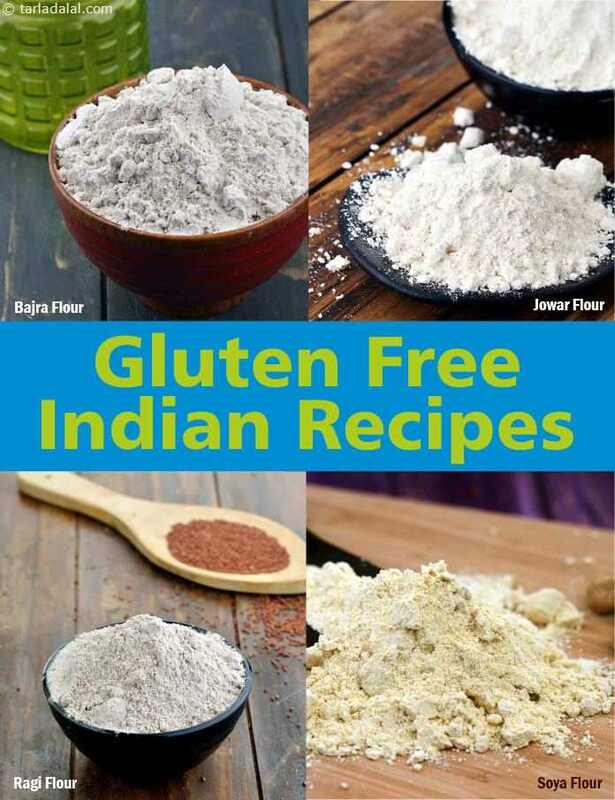 These delicious gluten free snacks, rotis and parathas, desserts and some special, kids-friendly recipes, will show you that gluten-free meals can be quite peppy too! And, all it takes to make these ever-popular favourites gluten-free are slight changes in the ingredients and cooking methods!